Ho Ho Ho and Merry Christmas everyone! 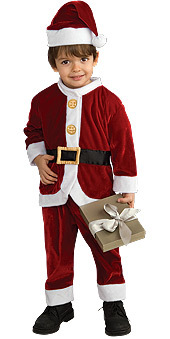 Be Santa's favourite little helper and make everyone's Christmas one to remember as you look dashing in this Lil Santa Costume. Help Santa deliver the children's gifts and make everyone's dream come true.